Velux Windows is one of the top names in the world for roof windows and skylights. The company operates in 35 countries and employs more than 10,000 people as well as having an approved fitter network. For more than 70 years, they have been creating the highest quality roof windows and are always at the forefront of technology. At the core of their range are their roof windows which are perfect to add to a converted loft, an extension or even a flat roof area in the case of their skylights. There is a wide range of products to get the best match for your property including centre-pivot and top hung windows. They can even offer sloping and vertical combinations and balcony and roof terrace windows. There are many benefits to these windows. The glazing, for example, keeps the heat from the sun to help reduce heating costs in the room beyond. They have an excellent insulation level for sound as well, cutting down noise from outside. And they have added protection to handle the weight of snow and ice on the window. 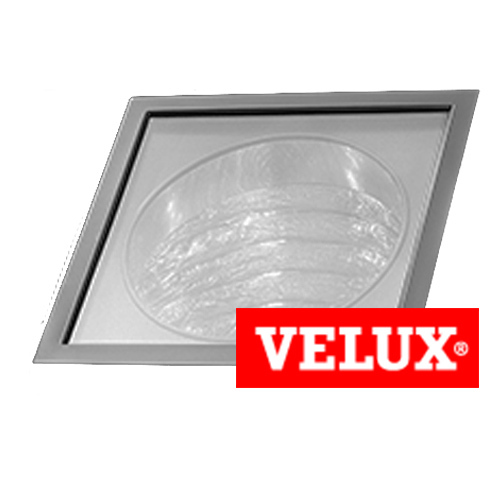 To ensure the best fit possible, Velux also offers their own installation products which are used by approved installers. These include a range of extra features including a water drainage gutter and a vapour barrier collar. What projects are they suitable for? Because Velux has a wide range of window styles, there is something for nearly any project. For example, if you are converting your loft and want windows for the sloping roof, many of their styles are perfect. And if you want to have access to an outdoor area for a balcony or roof terrace, there are windows that also function as doors to allow you to easily get outside. The different types of window are also great for extensions, conservatories, converted garages and other areas that require high-quality windows. Each window style will have recommendations about roof slope and working with an expert will help you get the right one. Velux makes flashings and fixings specifically for their different window products and comes in a variety of styles. For example, you can have standard or recessed installation as well as a range of different slate and tile flashings to match in with the rest of the roof. The company also have additional accessories to go with your new windows. These include blinds and shutters, poles and adapters and special maintenance kits. You can also add smart home features to allow ease of use and top-level security fittings. How can you get Velux windows for your project? Metrotile is a proud official distributor of Velux Windows and Accessories and this means that we are here to help you choose the right Velux window and get the flashings and accessories that make the perfect finish. Some products, including 55×78, 55×98 and 78×98 Velux windows in white, Metrotile stock ready for immediate dispatch. Other Velux products will require additional time to order. Can I get Velux windows installed? As well as being an official distributor of Velux windows and accessories, Metrotile are a Velux Certified Installer. Velux are a Trustmark scheme operator, so you have the additional comfort and peace of mind that Metrotile being Velux Certified Installers are members of the only government-endorsed scheme for tradesmen. Metrotile have developed lightweight roofing solutionswhich seamlessly incorporate Velux windows and accessories. To find out more about our range of Velux roof windowsand accessories get in touch with Metrotile by calling us on 01249 658 514, or you can fill out our contact form.